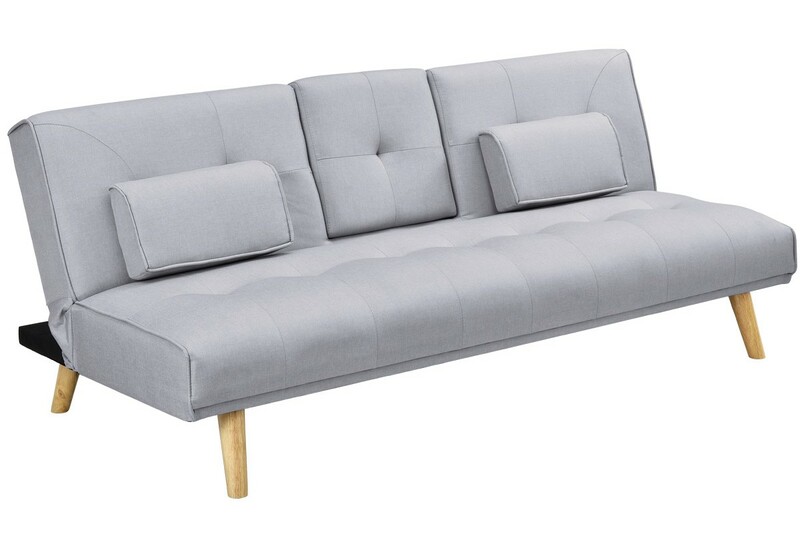 Decription: The Brooklyn is a moden scandi style sofa bed, in black, light grey or charcoal quality fabric. With its click-clack backrest you are able to create a comfortable single bed or a two/three seater sofa. 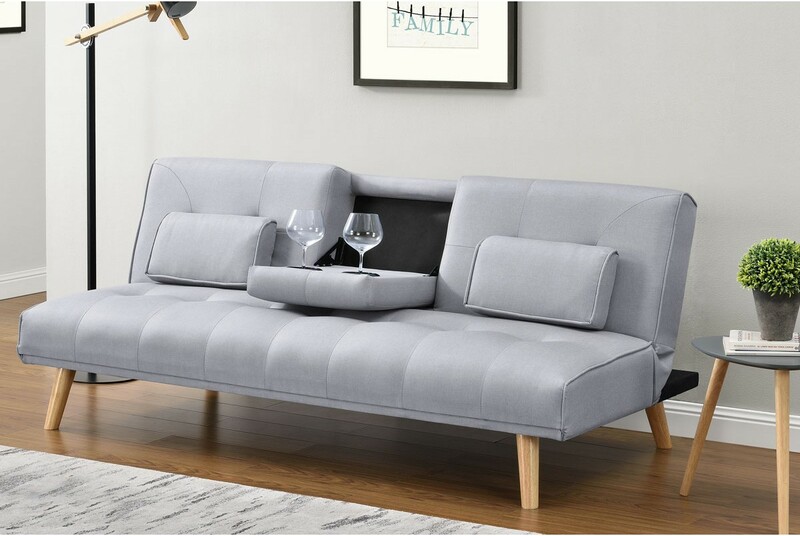 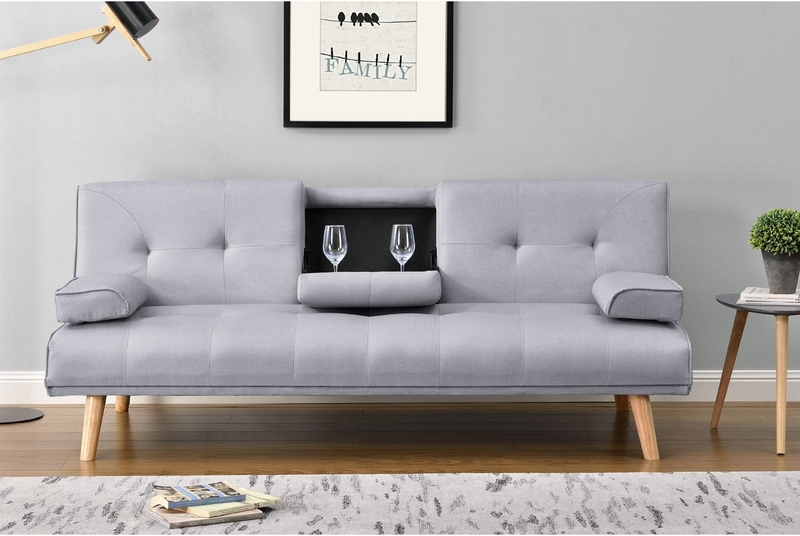 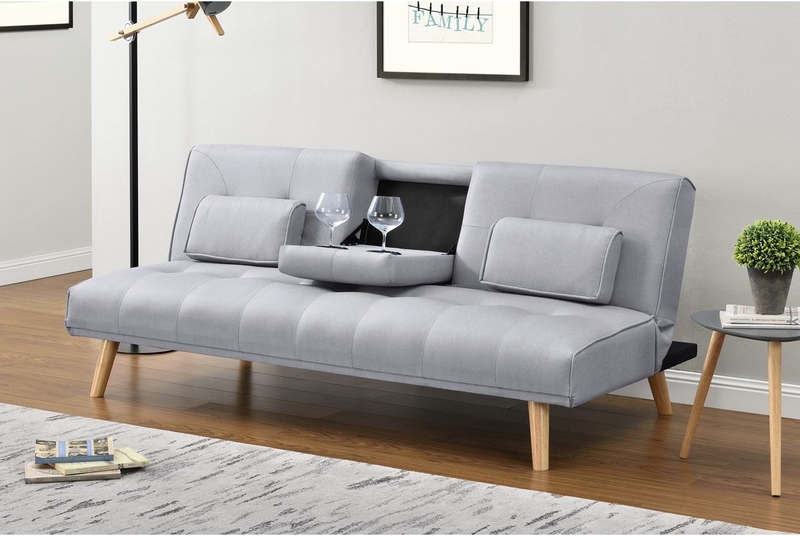 Stylish scandi style legs, a central arm rest with cupholders and two removable cushion arms complete the look.